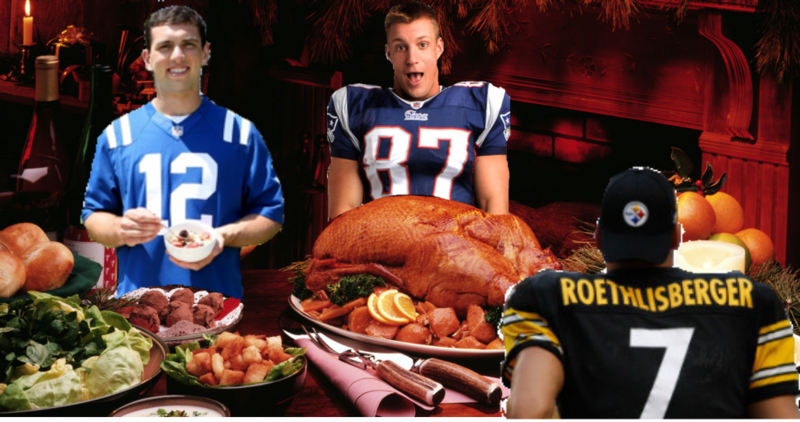 Thanksgiving is upon us and that means the Fantasy Playoffs are right around the corner. This got me thinking about all of the players that I’m thankful for. Without some of these unexpected fantasy studs I am sure there are a lot of fantasy owners out there that would be in big trouble. Here are three players from position that have exceeded their preseason expectations and have been a savior to many fantasy owners. Andrew Luck Indianapolis Colts – Those who drafted Luck are in Luck. He was the 7th ranked QB to start the season and he has completely taken the Fantasy World by storm so far this season. He has even surpassed the great Peyton Manning as Fantasy’s # 1 QB. So far he has totaled 3,388 Passing Yards, 28 Passing TD’s and 2 Rushing TD’s. Ben Roethlisberger Pittsburgh Steelers – Big Ben was more like little ben as the 15th Ranked QB this pre-season. Owners who took a chance on him are reaping the benefits. He is currently the 4th ranked QB with 3,270 Passing Yards, 24 TD’s and only 6 Int’s. Phillip Rivers San Diego Chargers – Rivers was the 16th ranked QB to start the season and his play minus 1 game has been awesome. He is currently the 8th best fantasy QB with 2,544 Passing Yards, 21 TD’s and 8 Int’s. 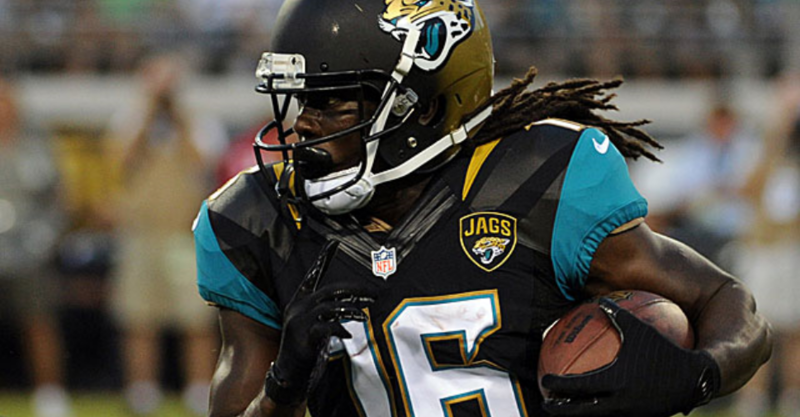 Denard Robinson Jacksonville Jaguars – The Jacksonville Jaguars have been the punching bag this season for all of us. The first thing I think of each week, is who’s playing Jacksonville and can I pick up the DEFENSE who plays them. But wait it’s a bird, it’s a plane, nope its Denard “Shoelace” Robinson running all over defenses. With Toby Gerhant, Jordan Todman, Storm Johnson all getting a shot and failing miserable the Jags gave Shoelace an opportunity and he has been quite the surprise. In the 4 games he has started he has racked up 389 Rushing Yards with 4 TD’s! Justin Forsett Baltimore Ravens – To start the season Forsett wasn’t on anybody’s fantasy radar but after the whole Ray Rice thing he along with a few other RB’s was giving a shot at the gig. Once Forsett got his chance he literally ran away with it. He is the 8th ranked RB right now with 923 Total Yards and 5 TD’s. Mark Ingram New Orleans Saints – Ingram started the season on fire, looking like a much improved Running Back from last year and then he got hurt. He started off with 3 TD’s in 2 games and since he’s been back he hasn’t let up. With Khiry Robinson and Pierre Thomas being sidelined with injuries Ingram has received basically all the carries. He has piled up 715 Yards and 6 TD’s in 7 Games . 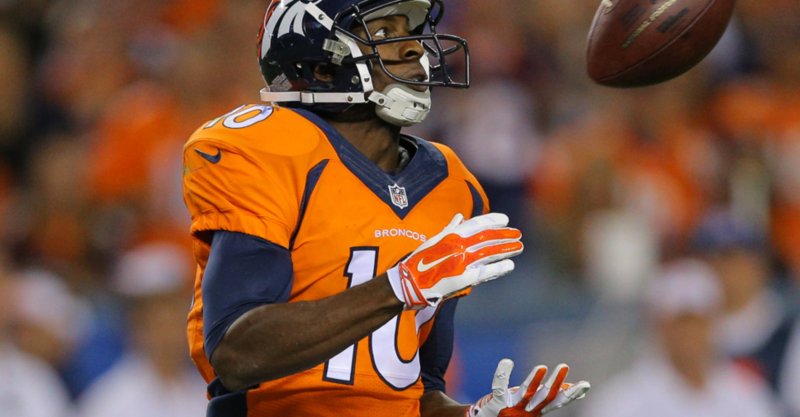 Emmanual Sanders Denver Broncos– Sanders had the task of replacing Eric Decker in the high potent Denver offense and he has come through big time. He was only the 24th ranked WR to start the season but he currently sits at #4. He has been awesome with 957 Yards receiving and 7 TD’s so far and he doesn’t look to be slowing down. If he is your #2 or #3 WR on your team I’m going to guess you are sitting pretty. Golden Tate Detroit Lions – Tate was brought to Detroit to be the #2 to Calvin Johnson and with Calvin going down early in the season Tate stepped up and has been a beast. Tate started the season as the 30th ranked WR and now finds himself 7th. Calvin did just return so he maybe be a sell high candidate for trades if you can get equal value. Jeremy Maclin Philadelphia Eagles – Finally healthy and clearly the #1 guy in Philly after the departure of Desean Jackson. Maclin has been quit the surprise this year going from the 28th ranked WR before the season to #5 so far. Maclin has tallied 921 Yards Receiving and 9 TD’s this season and he is only getting better. Rob Gronkowski New England Patriots – Gronk as we know him has all the potential in the world and has shown in the past that he can be a dominant TE for fantasy owners. The only problem is the guy can’t seem to stay healthy and those who gambled on draft day by taking him are reaping the benefits as he has managed to stay on the field and looks to be back to his old self. 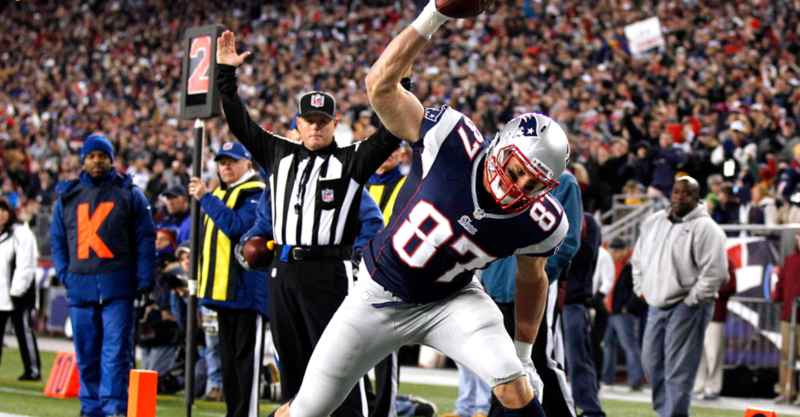 Gronk is currently the #1 Fantasy TE with 734 Yards Receiving and 9 TD’s to date so far. He has had a TD in all but 3 games and he’s hitting his stride just in time for the Fantasy Playoffs. Greg Olsen Carolina Panthers – Olsen has always been somebody that we new had the potential to be a top TE but has never quite lived up to the hype. That is until this year! Cam Newton doesn’t have a lot of weapons at his disposal and Olsen has taken advantage of all of the balls being thrown his way. Olsen is currently the 4th ranked TE with 719 Receiving Yards and 5 TD’s and now that he is one of Cam’s only viable options he should continue to see plenty of targets. Julius Thomas Denver Broncos – He started the season as the #2 TE on the draft board and he has lived up to his ranking but none of us would of thought he would be catching touchdown passes at such an alarming rate. He has already caught 12 TD’s passes and is on pace to catch 19 TD’s this year. He only has 426 Receiving Yards so we could use a little more yards out of him but I don’t think his fantasy owners are complaining. So those are the guys that I am sure have saved some owners fantasy season or have catapulted their team to the top of the standings. Did I not mention one of the guys you are thankful for? If so comment below, I would love to hear who you are thankful for.